Churches in Lebanon and the Council of Churches in the Middle East are pleased to welcome the international ecumenical youth meeting organized by the Taizé community from Friday, 22 March to Tuesday, 26 March 2019 in Lebanon. 1000 young people aged between 18 and 35 are expected from Lebanon, various countries in Europe and the Middle East. introduce young Europeans to the rich tradition of Eastern churches. highlight the richness of the ecumenical relations that already exist in Lebanon and allow participants of the other countries to discover it. listen to the long experience of coexistence of Christians in Lebanon with the various Muslim communities. introduce young people from elsewhere to the beauty of Lebanon, especially its warm hospitality. seek a common future in hope and cooperation between continents. How old will the participants be? Between 18 and 35 years old. From Lebanon, the countries of the region (Jordan, Palestine, Syria, Iraq, Egypt...), from Europe and, we hope, from even further afield! From Friday, 22 March afternoon to Tuesday, 26 March 2019 evening. The Lebanese may return home in the evening of Monday 25 March if they need to resume their activities the next morning. If possible, participants will be accommodated by host families, otherwise in rooms made available by churches. The people who will host participants will do so in connection with their local church: they will host them for 4 nights and give them breakfast during the 4 days. Throughout the day: arrival of participants from outside Lebanon. A reception team will meet them at the airport and the participants will be transported to their host parish. It is the host church that will give them their accommodation with church members. Arrival of the Lebanese in the evening. Reception directly in the host parish. Breakfast with host families or religious communities. morning prayer, in the liturgy of the host church or possibly prayer with the songs of Taizé. Sunday: Eucharistic liturgy of the host church. Meeting in the host church with witnesses of the Gospel and people committed to the common good. Then sharing groups (8 - 10 people) on the spiritual theme of the day. Workshops: visits to places of hope and symbolic places of coexistence between communities. Meetings with witnesses of peace and dialogue and spiritual learning. Arrival in the parish: families can pick up participants when the bus arrives. Supper in host families. Morning prayer, in the liturgy of the host church or possibly prayer with the songs of Taizé. Meeting in the host church with witnesses of the Gospel, and people involved in society. Then sharing groups (8 - 10 people) on the theme of the day. Workshops. On this day , because of the interfaith celebration of the Annunciation, the emphasis will be placed on dialogue and cohabitation between Muslims and Christians around the figure of Mary. Departure by bus to the host parish (and departure of those Lebanese returning home if they have to get back to work on the next day). Arrival in the parish. Families can pick up participants when the bus arrives. Day of discovery of the Lebanese heritage. The detailed programme will be published later. Please plan to take your return flight in the evening, or in the night of Tuesday 26 to Wednesday 27, or possibly Wednesday morning 27 March. 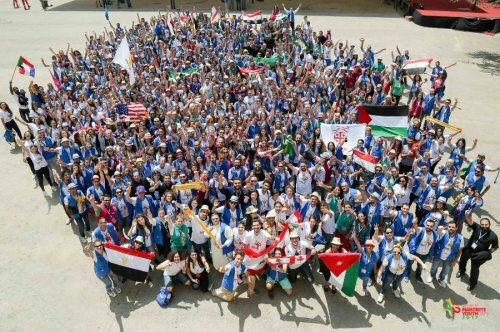 After the evening of Tuesday 26 March, young people from other countries may stay in Lebanon, but participants will no longer be under the responsibility of the meeting organisers. Transport will be arranged for them to a plce from where they can reach the accommodation which they have booked for themselves for the rest of their stay. Participants from Europe and from other countries not from the Middle East will be asked to contribute 130 US dollars (around 115 Euros) for the program that runs from 22 to the evening of 25th March. 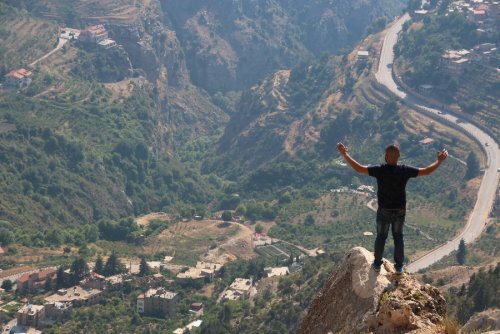 For those wishing to take part in the additional day on Tuesday, March 26th and visit another region of Lebanon, an additional 25 US dollars (around 22 Euros) will be requested in order to cover the costs of bus travel and meals. Those who can afford it can also contribute to the solidarity fund to help those coming from other parts of the Middle East, in particular from Syria. Please contact middle.east taize.fr saying a little about yourself and what your motivation is for participating in this meeting. Please wait for our confirmation before buying your flight tickets. For any other information or clarification, please contact us by the email address above. We will do our best to answer you promptly. Please contact youth2019 mecc.org For any other information or for pre-registration. It is compulsory to have a passport whose validity extends at least 6 months after your arrival in Lebanon. Please check with the Lebanese embassy in your country to find out if you need a visa. If so, you will need an invitation letter. Contact middle.east taize.fr to request it by sending a scan of your passport, after we have confirmed your pre-registration. NB: If you have travelled to Israel and your passport bears the mark, you will not be able to enter Lebanon with the same passport. Except for participants from Syria, entry by land to Lebanon from Syria or Israel is not possible. It is therefore essential to take a flight arriving at Rafic Hariri International Airport in Beirut. There are low cost flights from some capitals. Look in particular at Pegasus, Transavia, Middle East Airlines and Turkish Airlines (via Istanbul). Flights with a stopover may be cheaper. Please bring a Bible with you, and a gift for your host family, a spoon for meals, and a water bottle that you can refill. Note: water is only drinkable if filtered! Ask the people who welcome you. Rain showers are common in Lebanon in March, so be sure to bring a waterproof jacket or an umbrella. 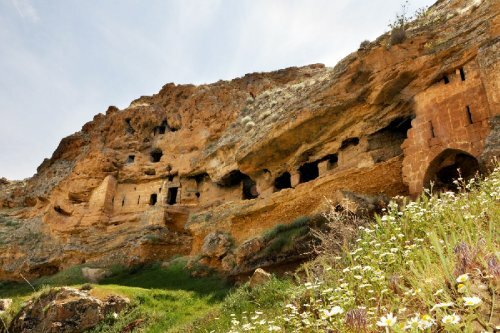 One way to discover Lebanon before your trip is to watch some beautiful works of Lebanese culture. Look at some Lebanese films: for example “And now where do we go?”by Nadine Labaki, or read the poetry of Gibran Khalil Gibran, the novels of Amin Maalouf, Rabih Alameddine or Charif Majdalani and many other Lebanese authors of quality. If possible, visit Taizé during 2018 in order to meet the brothers leading the preparation of the meeting. Every week of the year,from Pentecost 2018 on, an information meeting will take place. Ask about it when you arrive.